A decidedly different and practical perspective on how we relate to ourselves, to those around us, and to the conditions of our world. Almost regardless of one’s path, the name of Gurdjieff eventually comes up. 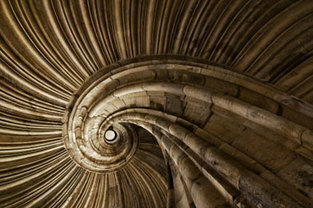 The teaching that he brought forth at the beginning of the 20th century provides an opening into a new way of approaching questions we all have related to our wish to serve something higher in this life. Join us for a series of five gatherings, each offering the opportunity to participate in an exchange related to questions and topics of interest to those who attend, and each supported by a reading/discussion from the Gurdjieff tradition of inner work. Registration is required through Clearwater for these classes. 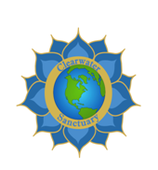 All Clearwater programs are co-ed, open to both men and women. ​The impetus behind this series is the observation that there are many ideas drawn from G.I. Gurdjieff that have found their way into various paths that seekers are exploring. Since his name comes up frequently, there may be those who are interested in seeing where these 'disparate' ideas come from within the body of a system that is most often called the Gurdjieff "work." The course itself will start with an overview of the ideas that form the foundation of Gurdjieff's approach to inner study, and there is such a wealth of material that all five gatherings could continue in this direction if that's what everyone wishes. However, possibilities will remain open for the remaining 4 meetings to take any of numerous directions depending on the interests of those who end up signing up for the course. As the flyer for this course states, an exploration of the Gurdjieff work may offer "a decidedly different and practical perspective on how we relate to ourselves, to those around us, and to the conditions of our world." Please feel free to respond via email with further questions or expressions of particular interest, or if you prefer a conversation, please call Gene Scaramuzzo at (985) 502-6582. The Gurdjieff Foundation of Louisiana has a website that you may wish to visit, as well... http://www.gurdjieff-foundation-louisiana.org.